The new AKS 3004 Stabiliser provides excellent ride comfort for your car and caravan combination. It efficiently and effectively suppresses the initial signs of caravan instability and snaking movements of a caravan or trailer. Four specially designed friction pads work to effectively suppress the initial signs of caravan instability and snaking movements, providing excellent ride comfort for your car and caravan combination. The AKS 3004 stabiliser pack also includes an extended neck towball (to ensure you are using the correct towball for the stabiliser), towball cover and all necessary fixings. Important: Ensure towball is clean, dry and free of paint and grease. Integrated soft dock to prevent minor collision damage during coupling up. 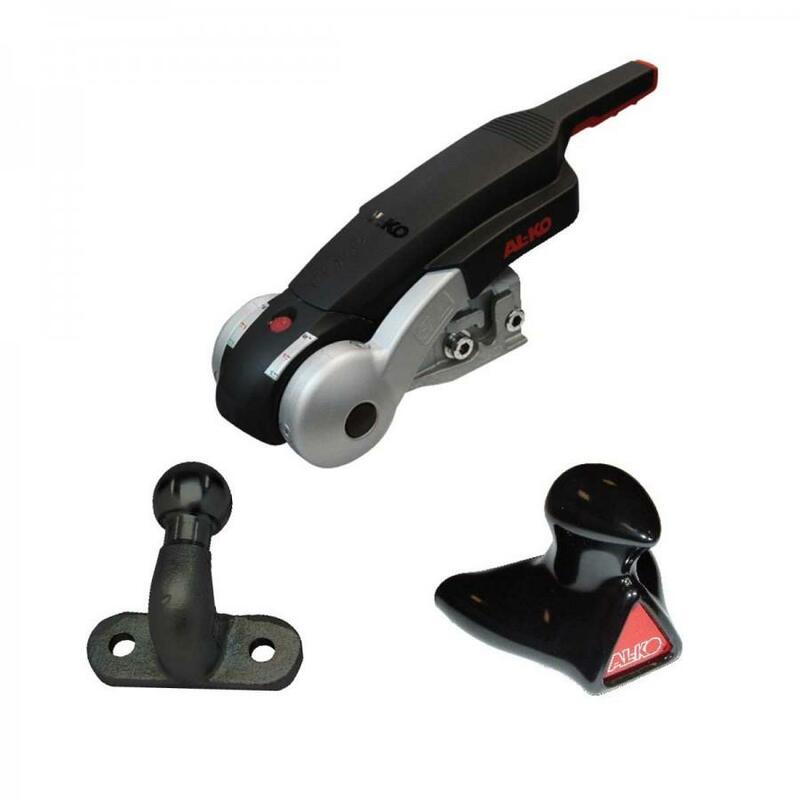 Integrated Safety Brackets to allow easy fitment and operation of the AL-KO Safety Device (Safety Device not included - see Safety Devices for additional information). Wear indicators for all four friction pads. Wear indicator for the coupling mechanism. Wear indicator for the towball.